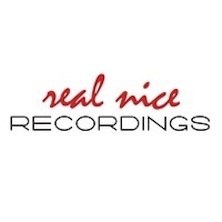 Real Nice Recordings – RNR is the brain child of Ben Lewis and Sam Wigg Winfield who met each other while studying in the musical melting pot that is Bristol. They soon started DJing under Real Nice and producing came shortly after that. Now both based in London and running the Real Nice Presents parties the next logical step and the fulfilment of a life long dream was to start the record label. The ethos of RNR is simple: “We want to create a family of good producers and DJs who all vibe off each others work, simple really.” The music policy is just as simple: Music to make you dance. Benedict Jackson delivers fully on the first release! ‘Not Your House’ is a Banger with hooky oldskool vocals and rhythmic stabs. On the flipside ‘Audax’ is a deeper bouncy floor filler, with a FAT bass line!